After a long and tiring day, it is always nice to have a pint or two of beer. Even when one is out with friends, beer is a favorite among most people. The most common ingredients used by breweries are water, malt, hops, and yeast. Yeast is the major ingredient, which is why no two beers are the same. However, you will not believe the way people have been experimenting with beer and coming up with ingredients that you normally would have never guessed. Here is a list of few ingredients used in different beers and see if you would like to try it. Yep, you read it correctly. It is manufactured by a Japanese brewery called SanktGallen Brewery and the beer is called Un, Kono Kuro. The coffee used in this dark stout is procured by feeding the elephant raw coffee beans and then allowed to ‘process’ inside the elephant. When the elephant defecates, the coffee beans are plucked out from the dung. This beer is definitely not for the faint hearted! To think of garlic as an ingredient might not exactly please neither your stomach nor your sense of smell, but it is true. The Garlic Farm teamed up with the Yates brewery to produce this unique beer. Yes, when you open the bottle you will get that overwhelming smell of garlic. However, the taste of the garlic is short-lived and the finish is more on the grassy side. This beer is for those who absolutely love their garlic. If you think things are getting weirder and weirder in this list, you are not wrong. The next beer “Spirulina Wit” has spirulina as an ingredient, which is basically blue-green algae, and is manufactured by a well-known Texan brewery company called Freetail Brewing Co. The tone of the beer is supposedly crisp and light with a touch of fruitiness. This beer is also highly popular with health conscious people as blue-green algae are a good source of protein. The thought of drinking beer with beard hair as an ingredient might feel a little icky. However, there is a man in Oregon who is actually growing his beard and using it as yeast. The man in question is an award winning brewmaster and his name is John “More Hops” Maier. The idea of using his beard hair was something that started as a joke and it turned out that they found yeast that is perfect for fermenting beer. Again, not for a weak stomach! Whoever thought of using bull’s testicles as an ingredient for beer must have been a real genius or perhaps a little crazy. Whatever it is, Denver based brewery called the Wynkoop Brewing Company is actually manufacturing beer with bull’s testicles as an ingredient. However, the beer is brewed especially for the Great American Beer Festival. Not so ironically, one of the most famous local dishes is made out of bull’s testicles and it is called ‘Rocky Mountain Oyster’, similar to the name of the beer ‘Rocky Mountain Oyster Stout’. Although you might think twice before drinking these beers, it doesn’t mean you still can’t enjoy your favorite beer from the nearest liquor. It is always fun and refreshing to have a pint of beer with family or friends after a hard day’s work. 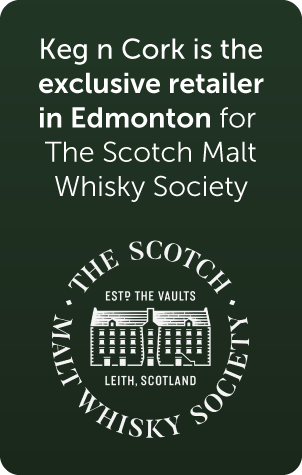 Click here to know more about a specialty liquor store in Edmonton.